This time of year we have probably heard the sound of an acorn or other seedpod falling out of a tree and hitting a parked car. While this might make a loud sound, there is generally no real harm done beyond being startled by the loud sound. 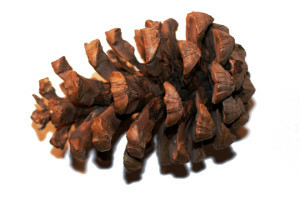 Some people might even remember being hit by a seedpod, pinecone, or whatever the wind blew, as the object was hard as it fell from the tree and smacked into a nearby car. According to a recent article from the Los Angeles Times, a 16-pound pinecone recently fell out of large pine tree and landed on a man’s head. The man says he was reading his book and taking a nap under the large tree, when the giant pinecone hit him. He said the pinecone was larger than a pineapple. While this might sound crazy, these pinecones can get up to around 40 pounds, so the 16-pound pinecone was actually on smaller and less dangerous than it could have been. These trees are not native to the United States. They were not put in that park by accident either, as the parks department intentionally planted them, and that is part of the basis for his lawsuit. He is claiming $5 million in damages as part of his lawsuit, and he claims that, since the parks department knew about the trees and the size of the pinecones when they planted them, they should have posted signs warning of giant falling pinecones. He is claiming as part of his multimillion-dollar lawsuit that the falling pinecone caused him to suffer significant brain damage that will never go away. While there is no question that a 16-pound object falling from a high tree and landing on a man’s head could do significant damage, cases like these are not so cut and dry. This issue that would come up in cases such as this would be whether you can sue the National Parks Service for any amount of money. Certain federal agencies are protected by a legal doctrine known as sovereign immunity. This is a doctrine of laws, which says that there are limits on whether a citizen can sue the United States government or a government agency for tort. There are certain states on federal tort claims, but they may or not apply in certain individual cases. If you believe you have case against a local, state, or the federal government, you should speak with a Boston personal injury lawyer as soon as possible. There may be procedural requirements that must be addressed in a timely manner, and you don’t not want to miss out on your ability to sue because you missed a deadline. Once you have determined you can actually bring a case against he federal agency, or more likely an official heading the agency in his or her personal and professional capacity, you will need to work on your theory of liability. In a premises liability case, you will need to look at defendant’s duty to warn of known defects.